Welcome to the Switchboard blog! For our first post, we thought we’d share how our team came up with the name Switchboard. A hand-operated switchboard used to be how people gained and maintained connections, whether they were calling to talk about everyday occurrences, life-changing news, or simply needed local information. While this tool may have fallen by the wayside, its core function is still very much a necessity –one our program provides. We connect people in the resettlement community to the information and advice they need. We hope that by facilitating needed connections between subject matter experts and resettlement practitioners, themselves experts in the work they do, we can help increase the quality of services and ultimately improve outcomes for our clients. Switchboard will also facilitate communities of practice and other opportunities for social learning—online spaces to discuss shared challenges and exchange ideas. 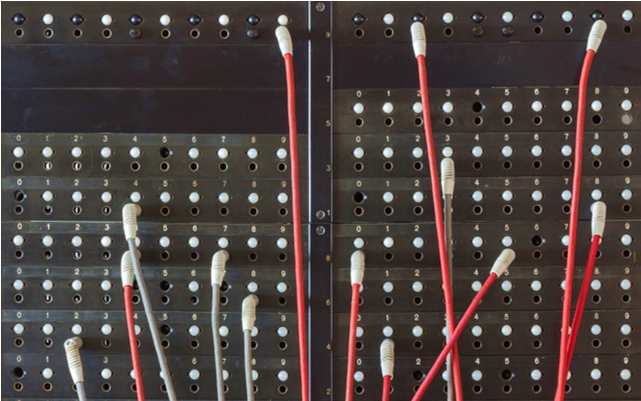 To learn more about Switchboard and our team, visit the About page. And sign up for our newsletter to stay in touch.